How many new TVs? Well, the number of UHD 4K TV units to be sold in 2018 is expected to reach 98.4 million by the end of the year. Does that mean people are going to be tossing out almost 100 million "old" televisions that are being replaced? But it does mean there will be a lot of used TVs either given away, donated somewhere, or actually disposed of. Think about that: if only 10 percent of the the more than 98 million new TVs results in one old TV being thrown away, that's still almost 10 million big screens going into the municipal waste stream of America! And it will likely be far more than that. An EPA report states that, just in 2007 alone, approximately 26.9 million television sets, weighing 910,600 tons, were scrapped in the U.S. So How Do You Dispose of Your Old TV? Christmas can be fun, joyous and heartwarming. It can also generate a lot trash and debris that has to be disposed of. Think of the piles wrapping paper and product packaging that can pile up after all the presents are opened! And, more often than not, there are going to be truckloads of new gadgets that replace old gadgets. And having to get rid of old electronics can be a bit of a challenge. If you add in the large, flat screen TVs that always seem to go on sale right around the holidays, you end up with millions of American households getting newer, bigger screens. And, like we said already, this means that there are millions of "old" TVs, outdated flat screens and PC or gaming monitors that end up needing a new home or getting tossed out. You can't just throw these things in the trash. In fact, in most places that's not even legal. You have to take into consideration the requirements around electronic waste disposal, also known as e-waste disposal. There are a number of laws and regulations, especially in states such as California, that prevent items such as PC monitors, TVs, and even cell phones being put into the household trash. The laws also dictate exactly how and where you can properly dispose of any old CRT devices you still have around, like really old-style TVs and old computer monitors. You know - the ones with the big, glass tube inside and that weigh a ton! And the process takes time, effort and money. The U.S. produced almost 12 million tons of e-waste in 2014. According to EPA, only about one million tons of the almost 3.5 million tons of e-waste generated in the U.S. in 2012 was recycled, or about 29 percent. Which was an improvement over previous years. For example, the e-waste recycling rate in 2011 was 24.9 percent, and only 19.6 percent in 2010. The overall quantity of e-waste is growing every year and it is almost all highly toxic materials. And the EPA says that e-waste represents only 2 percent of the solid waste stream, but that amount accounts for 70 percent of the hazardous waste which is deposited in landfills. Although these devices are safe when being used in your home, if they are broken apart or left out in the elements - like in a landfill - then a volatile mix of toxic materials can seep out. Among these are lead, mercury, arsenic, cadmium, chromium and barium. Most municipal areas provide convenient TV and e-waste disposal options. Some places offer special pick-up days specifically for e-waste disposal. In addition, there are many recycling centers that are set up to streamline the disposal process for TVs and related items. And recycling is a great option since more than 70 percent of e-waste materials are recyclable. If you've ever had the difficult experience trying to move an old, boxy, heavy TV set you might think that those old televisions were built just to scrape your hands and hurt your back. This may be why so many people still have old TVs sitting around their homes and just taking up space. 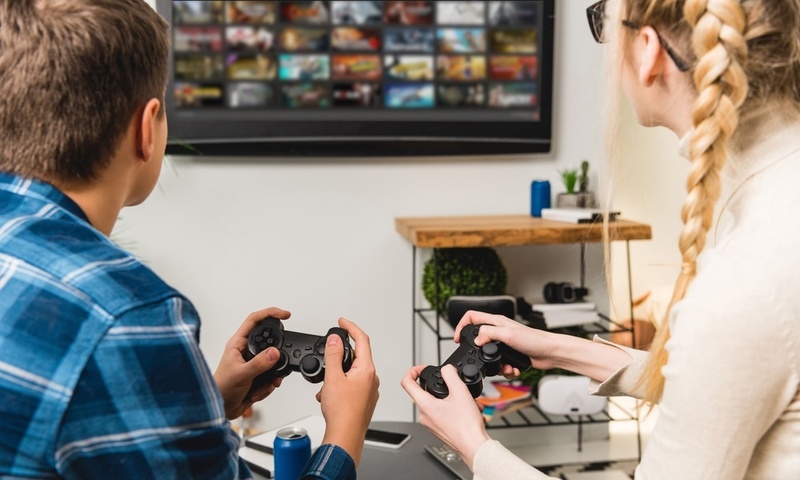 While it may be easier to simply hide them in the garage somewhere with the intent to dispose of them later, those large TVs don't get any easier to move when you finally get around to it. Fortunately, there are options. And the best option is to hire a professional team to come and take these old TVs and monitors away for you. 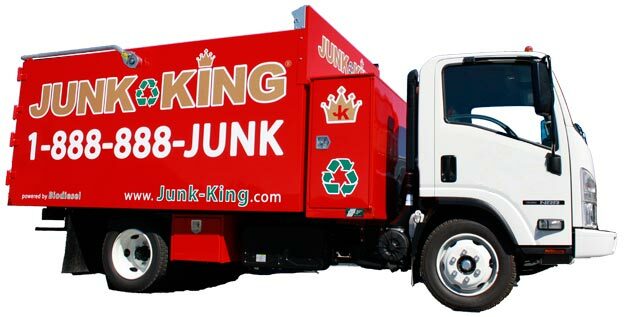 With a company like Junk King, we will not only remove and haul away your old TVs, but we will make sure they are properly disposed of and recycled. And this is a good thing for everyone since electronic waste recycling is the way to go. Junk King offers an efficient, safe and eco-friendly TV disposal service that makes the whole process easy for you. Our experienced television removal team will have the manpower to haul off that old TV set without damaging any of your home on the way out. We’ll do all the heavy lifting - no need to carry items out to the curb. And we’ll make sure that the TV is disposed of at a proper recycling facility so that it doesn’t do any harm to our ecosystem. Our professional and insured TV disposal team will show up at your home or office and we'll call 15 minutes before we arrive on site. And we’ll give you a free estimate based on how much room your items take up in our truck. You point and we haul your old TV set into our junk removal trucks, with no hidden fees. It’s as simple as 1, 2, 3. You make an appointment by booking online above or by calling 1.888.888.JUNK (5865).